Mme. Marielle Leithe, Nice. Hon. Irwin Boyle Laughlin, Washington, D.C.; his wife, Therese Iselin Laughlin, Washington, D.C., 1941; their daughter, Gertrude Laughlin Chanler, New York, 1958; gift to NGA, 2000. 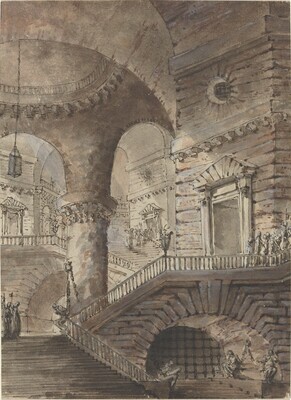 Eighteenth Century Drawings from the Collection of Mrs. Gertrude Laughlin Chanler, NGA, Washington, D.C., 1982, no. 18.